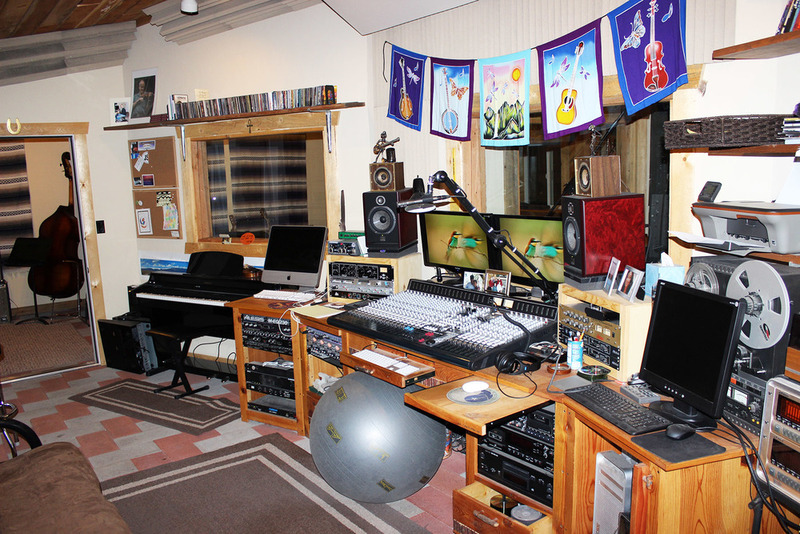 The Howlin' Dog Studio was built inside an old barn/workshop on the old farmstead where Don and Teri moved in the summer of 2008. It's a building inside a building, with new walls, ceiling structure, isolated flooring, and all new wiring. 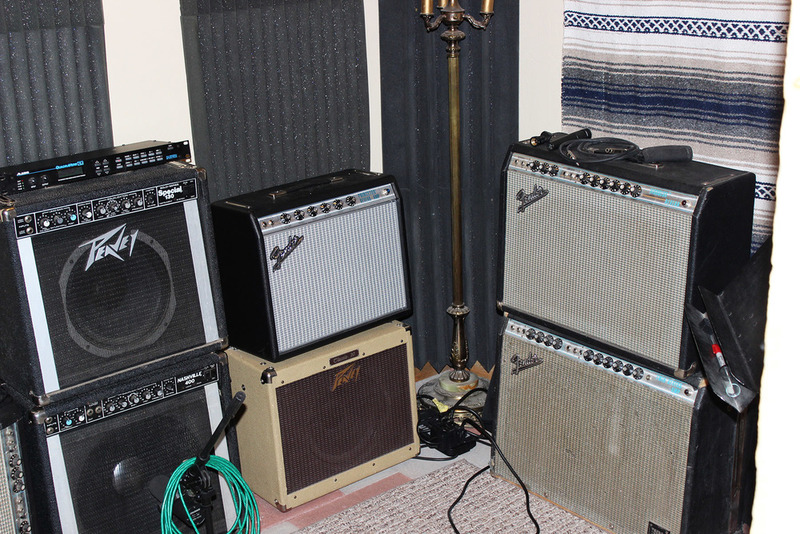 It sounds great, feels great, and has pretty much everything we will need to make a great record. Plus it is in an amazingly beautiful and quiet place, with no neighbors to bother or be bothered by, incredible views all around, and still just a few minutes from the comforts of town when we want to go have lunch. We all think it's pretty sweet! 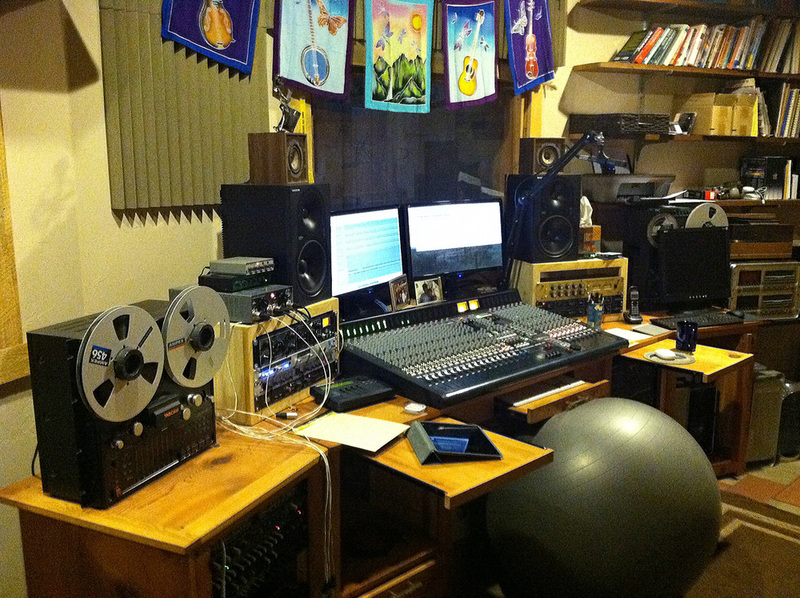 Check out the equipment list for the details, but with our great mics, sweet analog board, top notch outboard pres and processors, we feel very solid with the capabilities here. 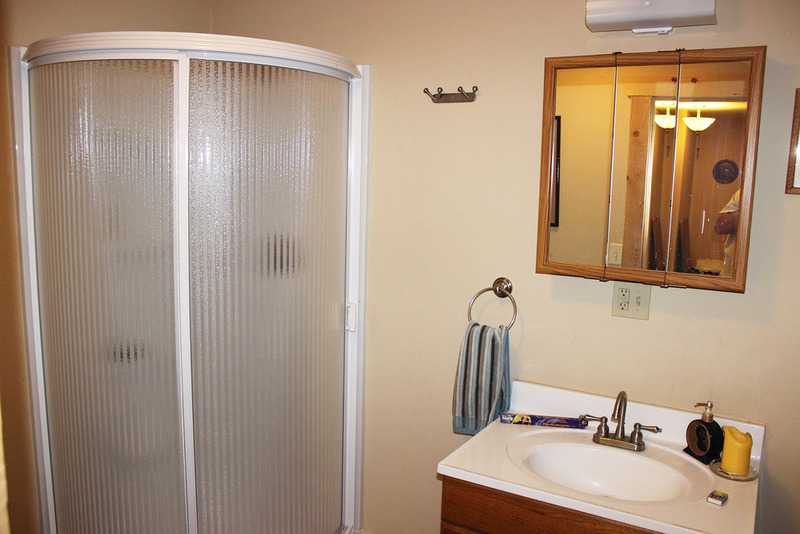 There's also a kitchen and a shower and a futon when needed. Don also offers his services on the various array of instruments that he plays, including acoustic and electric guitars, banjo, mandolin, fiddle, dobro, pedal steel guitar, lap steel, harmonica, accordion, trumpet, and who knows what else, as part of the deal with working with him at Howlin' Dog. We also have a ready roster of studio musicians who can join in on the project, both locally and remotely via file sharing. Whatever we need to do, we can probably make it happen! Mission: What I want my studio to do is simple - I want it to help people (including me) get their music out. In order to do this well, this studio has to be affordable yet put out an excellent product that can hold up in any comparison. I think we consistently achieve this goal. Also, the general vibe and approach needs to serve the music and creativity in general with a relaxed, comfortable and enjoyable atmosphere. Philosophy: To me, music is a way of communicating "something fine" - something that reminds us all of why it's worth being alive. There is great joy for me in participating in this process, whether it is as a musician putting out the music or as someone helping record other musicians - helping them get the finest representation possible down on disc to help them put it out. There is also great joy for me in the group creative process. There is a magic that moves in as a few people who have set aside time to work toward putting out something fine (as in a studio) toss around their ideas and experiment with them. To me, the magic is built in to the process, almost as if it lives in the space between the people. As ideas and various musical options are tossed around, a greater alternative emerges. I love it. Every day, and with every project, the ultimate challenge is there - "How much magic can we allow in today? How fine can we make it?" The biggest reward for me is what I call getting off - feeling the shiver that tells you "Yes! That is something fine." And that's what I shoot for. All the equipment is a means to that end, and in that sense, all the equipment is secondary. Ideally, the equipment and the process is as transparent as possible - you don't even see it. It's just there to serve the music. 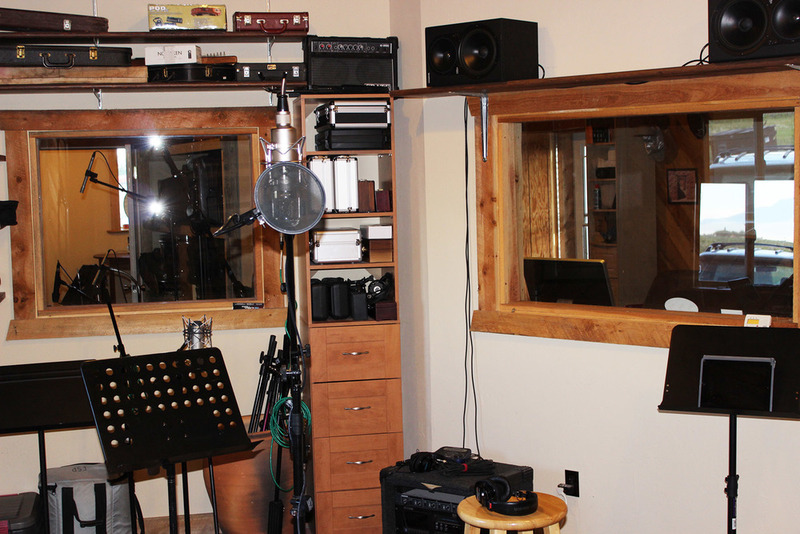 We offer everything from live studio or remote (24+ track) recording to crafting the song one track at a time in the studio, and anything in between. 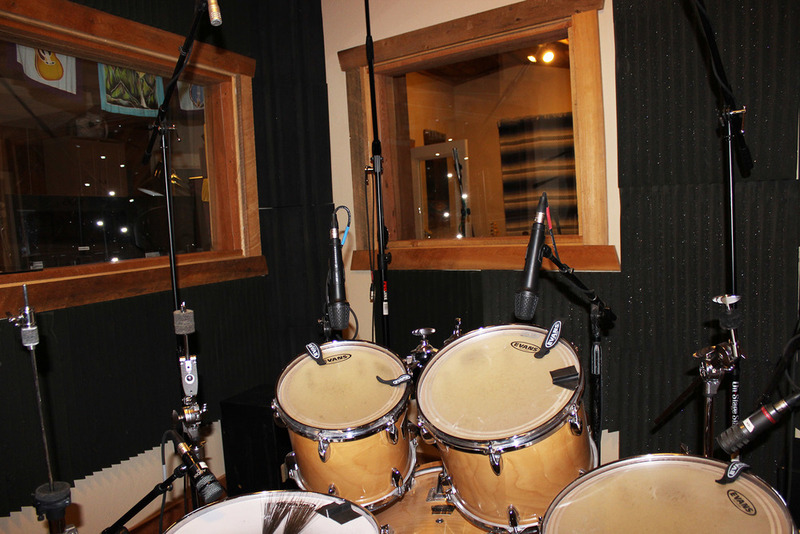 We can record your band straight on live, in the studio or on stage. Or we can do some overdubs and add a few extra parts. Or we can take a rough song of just rhythm guitar and vocal and create an entire arrangement suitable for any audience. 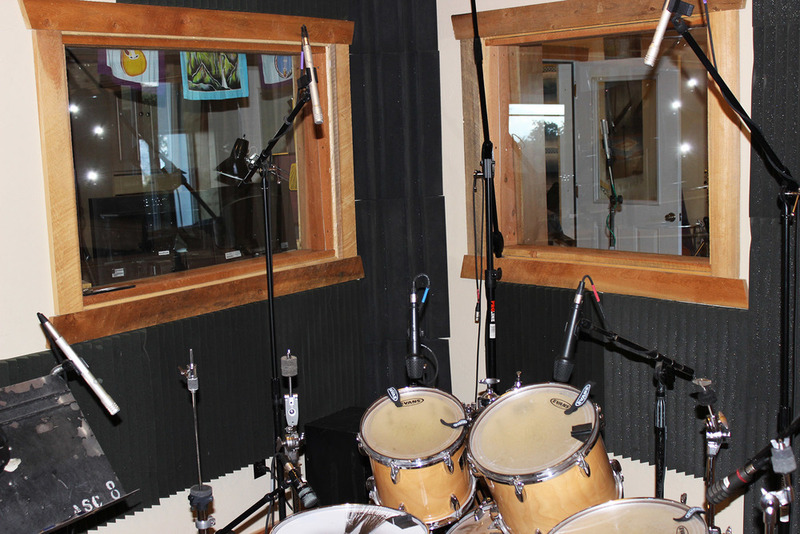 We offer excellent in-house capability on drum programming, bass guitar, electric and acoustic guitar, mandolin, fiddle, pedal steel guitar, banjo, dobro, vocals, and background synth, all in a variety of styles. 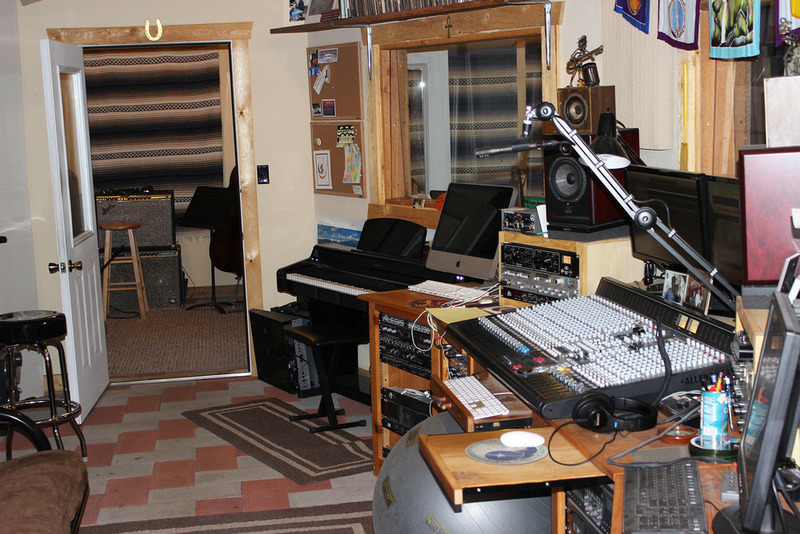 We also have access to excellent studio musicians on many other instruments. We can also assist you with every aspect of putting out a tape or CD for sale, from arranging the printing to contacting the duplicator-manufacturer to delivering the master via CDR or upload. We can run off some CDRs for demos and help you with labels and graphics. Mixing board - Allen and Heath GS-R24 hybrid analog/digital mixer, also Yamaha Digital O1V96 and original O1V, Studiomaster Pro-Line 16-4-8, Mackie 1202. Monitors - Focal Solo 6 BE monitors, original Auratones, Mackie HR 824. Computer mixing-editing-mastering station - Mac Pro quad processor running Logic Pro X and Pro Tools 10, UAD-2 card and plug-ins, Dell PIV 1.7 MHz running Sonar 8.5, Sony Sound Forge 9.0, CD Architect 5.0, Waves plug-ins, Sonic Foundry Acid 7.0, Mac G-5 and G-4 for backward compatibility of files and software. 2-track decks - Otari 5050 analog RTR, Tascam D-30 Mk II DAT deck, Tascam 302 dual cassette. 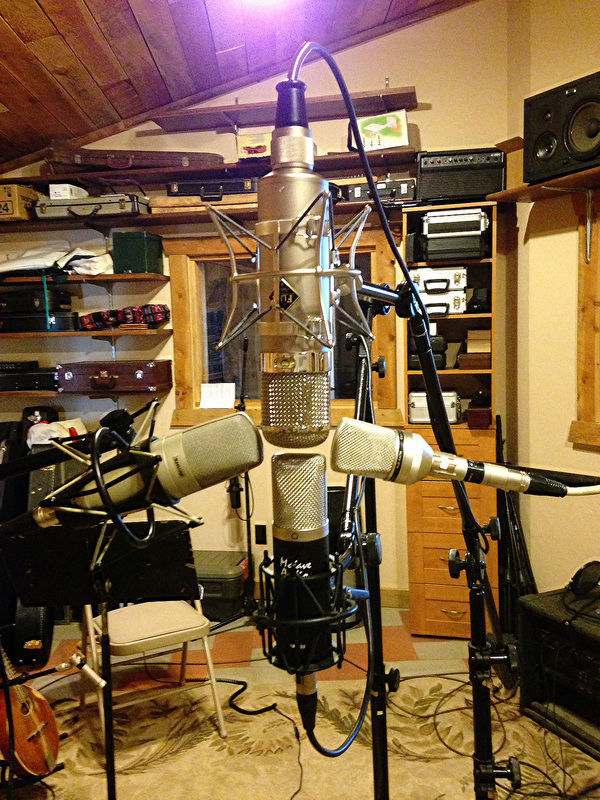 Main vocal microphones - Neuman U-87, Flea 47 tube condenser, Mojave Audio MA-200 tube, Oktavamod MJE-K47H, Shure KSM-32, Audio-Technica AT-4033. Other microphones - Oktavamod modded Oktava MK-012 stereo pair, Shure SM-81's, SM-57's, SM-58's, Beta 57, Beta 87, Beta 52 kick drum mic, Cloud JRS-34 ribbon mic, Royer R-121 ribbon, AKG C-408 drum mics, Cascade Fathead ribbon mics, Studio Projects C-3, and Nakamichi CM-300's. Outboard signal processing -Alesis Wedge master reverb, Quadraverb, Nanoverb, enhancer, compressors, and 31-band EQ's; DBX 106 compressor, AMR and ART compressors, BBE-402 processor, ART RXR Elite reverb, Sans-Amp bass guitar DI, and Line 6 POD, Hughes & Kettner and Zoom guitar processors. MIDI and synth equipment - Ivory piano sample library and several others, Native Instruments B-4 organ, all included Logic soft-synths and samplers (with extensive additional sound libraries), Sampletank, Kurzweil and Yamaha keyboards, Roland JUNO analog synth, Alesis HR-16 drum machine, Alesis Nanosynth, computer sync with JL Cooper Datasync II.